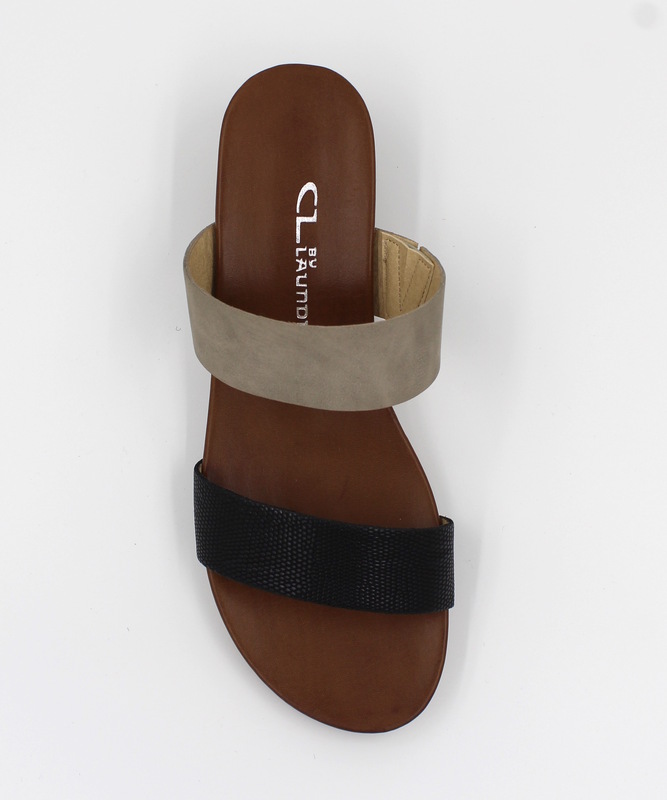 The Aneesa sandals feature an ultra-low wedge and two colorblock straps. By CL by Laundry. Manmade materials.